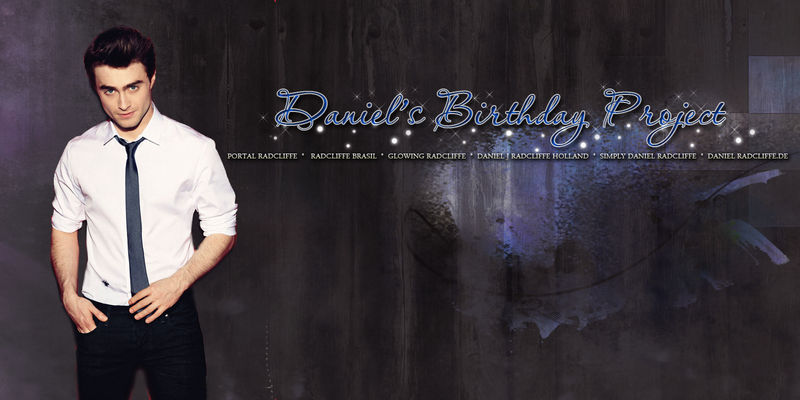 This year, danieljradcliffe.tk (Daniel J Radcliffe Holland) is starting a birthday project together with the best Dan sources on the web around the world, to wish him a great 23rd birthday, and we ask you to join too! 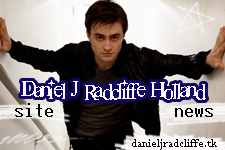 The sites are: Simply Daniel Radcliffe Daniel Radcliffe DE, Portal Radcliffe, Radcliffe Brasil & Glowing Radcliffe. Six sites, many languages, many fans! * Fans holding up the letters (a4) which will form "Happy Birthday Dan" all together - no places left . Edit: 13th July 2012: LAST day to send on your pictures if you applied! David Copperfield, Mark Pendel, Harry Potter, Maps, John Kipling, Edmund (hehe), J. Pierrepont Finch, Arthur Kipps and Allen Ginsberg, are excellent characters, and took us to places that are beyond our imagination, but you play a part much bigger in our lives. Today, we take this moment to thank you for bringing together so many people, of the various nationalities, genders, races, and that even in our differences we can find a common place. We have nothing but respect and admiration by your every gesture of affection and devotion for your career and your fans, for making us proud, and constantly proving that everything we do is not in vain. For giving us your best, in every project you have done. Thanks for being so authentic, such a good example, using all the fame you have for projects that really matter. For showing some of us the importance to embrace our awkwardness, and of being proud of who we are, giving us some of the best years of our lives, a period when we made so many friends, so different but yet so similar, and that we're going to carry for the rest of our lives. We'll be at every barrier, every conquer, every failure. One for all, and all for one. You inspire us. For all that, we wish you all the best that life can give. We love you." I contact you later about this to give more details and your part in the action after you have applied. 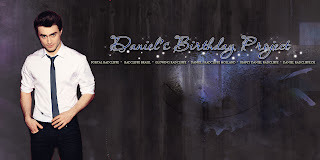 2) We will try to "trend" a Twitter tag (we hope you all will help ofcourse) on Dan's birthday, 23rd July. This with the hashtag #wwDanRadBdayproject where "ww" stands for worldwide. Do you want to participate and get featured in the video to Dan? E-mail (marion@danieljradcliffe.tk) your name, age, country & city with the subject "Birthday Project 2012" Then I will get back to you a.s.a.p. We need to have all the photos on 13th July. Please use a good quality camera, use a good lightning. How it works out also depends on how many of you will be applying/joining. So share the news around! Still questions? Let me know. DJR Holland is 6 years online!